He is polite and smiles shyly. He has sad eyes. His anorak and trousers are way too big for his frail frame. His hands are joined together forming a cup – the skin of his hands is rough, and red from the cold. Everything about him makes me assume he is homeless, even his shoes are mismatched. I put my hand in my pocket and find just 4 Francs, I give them to him and wish him luck. Just like that, he disappears as quickly as he came. What good can happen to a young homeless man on a cold December night in Geneva with 4 Francs and a good luck wish – a couple of coins and a couple of words? 4 Francs might bring this young man some dignity and hope for a couple of minutes in the form of a cup of warm coffee, but it’s the “good luck” wish however which is the most important element – words do not have to be sensational, but they need to be sincere. I truly meant to acknowledge him, to wish him well and to call for good omen. At the time, I actually spoke in French and said, “Bon courage”. Two words implying the imperative form. This expression acknowledges the fact that you see that the person you are addressing is facing a challenge and you command her or him to face the situation with positive bravery. In the words of a Jedi, “May the force be with you”. Words are powerful. They can bring peace and comfort or they can hurt and destroy. Words are weapons, as such; we must handle them with care. Did the young man feel all of this when I said, “Bon courage”? We will never know, but one thing is certain, he kept the 4 Francs. In 2008 a study was carried out on Twins in Sweden. They found out that if the parents treat one of the twins with more affection than the other, that child ends up with higher self-esteem. Have you heard any of these words directed to you before? It feels nice to hear them. Words are powerful. They can bring peace, comfort, and inspiration. What about this young man? What words did he hear that failed to inspire him or even destroyed him? Which wounds, failures or discussions lead him to this situation? Have you heard any of these words? How did it feel then? We’ve all had our share of drama in life but the way to recovery is to talk, and welcome comforting words. In these circumstances, when you are at your most vulnerable, your sense of self-worth can be crushed so easily. Shooting vicious words can kill a dream, hope, a life. Do you remember the last time you were in a situation when you were alone with a figure of authority and the words were heavy with consequences? I met my friend Chris when I lived in Scotland. When you have a couple of beers with him he will tell you how he still remembers his Math’s teacher Mr. McNeil shaming him by screwing up his test paper in front of the whole class, crushing his self-confidence in his academic abilities and leaving permanent dents and creases. Because of Mr. McNeil, Chris hated school and dropped out at 17 years old. Words are forever once they are out and you cannot take them back. If they hurt, it’s too late – the damage is done. Chris also remembers his very first manager Lisa when he worked in an architect’s office – Lisa told him that she saw a lot of leadership qualities in him; she always had kind and encouraging words for him. It was not much but thanks to her he dared to take initiative, and eventually had the confidence to enrol in evening classes allowing him to go on and setup his own business. We’ve all met a Lisa or a Mr. McNeil and ended up being their audience. The impact of each one of them echoed a long way. 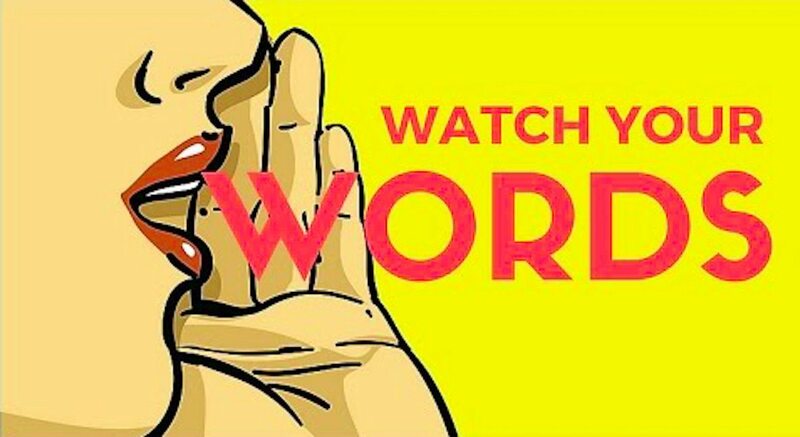 The words you choose to give are important and should be carefully crafted – remember, once words are out, you cannot take them back. In March this year, I was back at Geneva station and waiting on the same platform, at the same time as before – I had 4 Francs in my pocket. What are 4 Francs worth? They are worth a bit of dignity and hope in the form of a cup of warm coffee; but words are priceless. With them you can rebuild a human being, and you can inspire, or you can choose to take everything away. Next time you have an audience of one or a thousand, speak responsibly and give generously. Good luck et Bon Courage. One of my clients defined me as a Public Speaking Jedi, I loved it so much that I have adopted it. Through Speak4Impact, I use my skill and experience as an award winning speaker, the "Force" and a lot of enthusiasm to enable professionals to better communicate their ideas and take their speaking skills to the next level.